Visiting the dentist for the first time as a young child sets the stage for a lifetime of good oral health. At Richard Hardt, D.D.S. in Porterville, California, experienced pediatric dentists Dr. Richard Hardt, DDS, and Dr. Lawryn Monterroso, DDS, offer gentle, compassionate dentistry services and screenings for children as young as 2 years old. Get your child’s oral health started on the right foot by calling the office or using online booking to schedule a pediatric dental evaluation today. When should my child visit the dentist for the first time? Dr. Hardt and Dr. Monterroso recommend early preventive screenings for children starting at age 2. These screenings allow them to evaluate the overall health of your child’s mouth and monitor the development of teeth. Depending on your child’s needs, Dr. Hardt and Dr. Monterroso monitor your child’s oral health through routine checkups every six months. Dr. Monterroso and Dr. Hardt are highly experienced in working with children throughout their first dental visit and beyond. They provide efficient, compassionate care to ensure your child has the most positive dental experience possible. The earlier you start dental visits for your child, the more comfortable they’ll feel going to the office. The entire dental team makes sure your child is happy and comfortable during each examination and procedure. To make a first visit less frightening, you can contact the staff ahead of the appointment to discuss your concerns. You may also want to bring your child into the office before their scheduled visit to meet the staff and learn more about what to expect. How can I ensure my child has good oral health? Dr. Hardt and Dr. Monterroso work with you to help your child learn the best methods for caring for their teeth. They provide resources and recommendations for proper brushing and flossing techniques and high-quality toothpastes and rinses to fight cavities and promote healthy gums. Your child may also benefit from regular fluoride treatments or dental sealants to strengthen weak teeth and prevent other dental issues as they age. To further prevent cavities, it’s important your child eat a healthy, well-balanced diet and avoid sugary foods and beverages. With regular checkups, Dr. Hardt and Dr. Monterroso can monitor your child’s brushing habits and detect signs of cavities in the early stages to prevent more serious decay or a tooth infection. 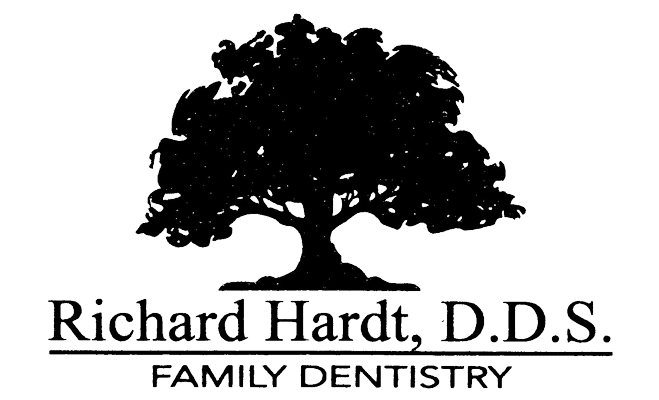 Learn more about available pediatric dental services at Richard Hardt, D.D.S. in Porterville, California, by calling the office or using the online booking feature to schedule an appointment.